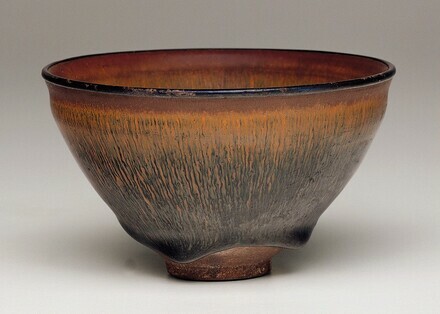 A thick, variegated black-brown glaze covers the dark stoneware body. A silver band is attached to the lip. 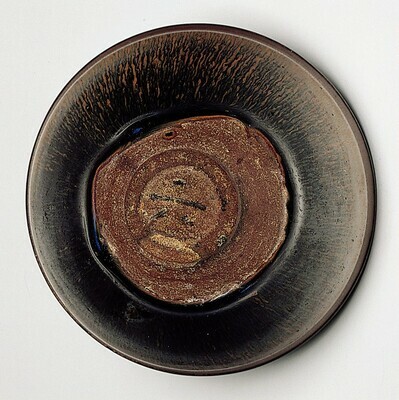 The foot-ring is squarely trimmed, and the base is slightly recessed. Bower, Virginia, Josephine Hadley Knapp, Stephen Little, and Robert Wilson Torchia. 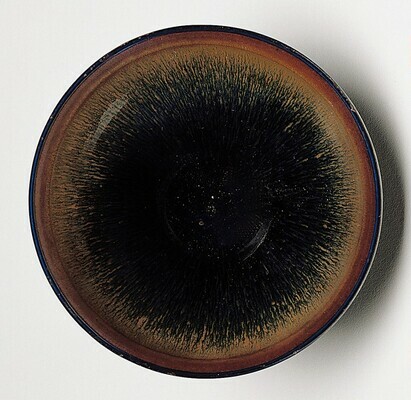 Decorative Arts, Part II: Far Eastern Ceramics and Paintings; Persian and Indian Rugs and Carpets. The Collections of the National Gallery of Art Systematic Catalogue. Washington, D.C., 1998: 34-35, color repro.